Dotcom Distribution provides eCommerce brands and stores with leading order fulfillment services. This includes eCommerce fulfillment centers that provide optimized logistics and fulfillment services for online retailers and merchants. Ultimately, we help rapidly-growing brands strengthen relationships with their customers. From branded packaging and shipping solutions that keep your business top-of-mind, to fast order turn-around and advantageous access to shipping lanes, we give you the ability to adapt to new market opportunities – without the hassle. 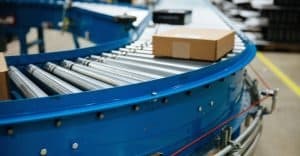 If you’re looking to expand and scale your eCommerce business, you need an eCommerce fulfillment provider that can provide you with a wide breadth of flexible shipping options. Dotcom Distribution can help you provide your customers with fast shipping, including low-cost transportation to support free shipping promotions and other shipping strategies. We leverage a variety of shipments across a number of high volume clients and utilize top carriers to provide valuable discounts and lower shipping costs for your eCommerce brand. We also provide drop shipping solutions to ship products directly to your customers. Today, your eCommerce customers expect a fast order and shipping process. We make sure your brand’s eCommerce fulfillment and shipping process is streamlined and designed to delight your customers with accurate, on-time orders. Store and manage your product inventory with our conveniently located warehouse fulfillment centers and logistics services. Gain valuable fulfillment insight through real-time inventory reports. These reports help you keep your eCommerce site up-to-date and help you forecast which of your products need to be restocked before they sell out. Take your eCommerce brand’s fulfillment operations to the next level with integrated technology and program management teams that learn to understand and know your brand. Get real-time visibility into your eCommerce fulfillment operations, from receiving through order fulfillment. Our production team has years of order fulfillment experience. We’ve helped eCommerce brands transform their components and finished goods into sets and custom SKUs, resulting in new market opportunities like home shopping and large retailer partnerships. Upgrade your brand’s eCommerce fulfillment services with custom packaging solutions aligned to your precise needs and requirements. Scale these solutions to meet seasonal demands and increased order volumes throughout the year. Achieve build-to-order fulfillment and choose from a wide array of exciting options including shrink-wrapping, banding, clamshells, auto-bagging, retail sales packaging, gift boxing, custom cartons, barcoding & serialization, refurbishment, special projects, and much more! As an experienced third-party logistics (3PL) company, we position your eCommerce business for success with our strategic fulfillment solutions. We help you implement and optimize all aspects of your fulfillment operations including receiving inventory, managing inventory, custom packaging, and shipping. Brand Image: Our packaging and shipping methods are guaranteed to impress both new and existing customers. We treat each shipment as a carefully considered gift – complete with custom packaging and brand messaging. Furthermore, we ensure that the appropriate carrier and level of service is applied to each shipment to satisfy and delight your patrons. Trust: Build trust with your customers. Our packaging solutions are built for speed and quality, so packages arrive on-time and undamaged. At Dotcom Distribution we make sure that your customers receive exactly what they ordered. Agility: Have confidence in your organization’s ability to respond to new market opportunities. Dotcom can quickly create customized packaging for promotional offers, new channels, and new markets. We also help our clients adapt to incremental sales by developing new packaging processes, product configurations, and transportation network options. Decision Support: Organizations can only be as nimble as their access to information. Dotcom’s web-based, real-time reporting can be accessed at any time. This ensures that your team always has access to up-to-date information regarding inventory, order status, and service levels. At Dotcom Distribution, we understand what it takes to keep up in today’s fast-paced eCommerce environment and achieve a competitive advantage. We have the tools, personnel, and experience to help you implement an effective logistics and eCommerce fulfillment program that won’t drive operational expenses through the roof. Inventory management? Check. Kitting and assembly? Done. Domestic and international shipping? We’ve got you covered in all areas of eCommerce fulfillment. We’re here to help you excite your customers! Does your eCommerce business have ambitious plans to expand? Leverage our multi-channel fulfillment and production experience to access new channels and markets. Whether you ship to large wholesalers or retailers, are testing a subscription model, or are putting your own twist on traditional commerce, we’re here to execute your vision. It’s time to say goodbye to high order fulfillment costs with Dotcom Distribution’s leading eCommerce fulfillment services. Contact us today to get started with an eCommerce fulfillment plan tailored to your brand and strategically designed to increase your growth and sales. How can we improve your eCommerce fulfillment? Ready to learn more about how Dotcom Distribution can help you scale your business with eCommerce Fulfillment? Hit the button below to connect with one of our logistics professionals.